The 24th of September is a really special day for South Africans worldwide! It is the day where we celebrate all things South African, with family’s firing up their “braai’s” (read barbeques) and really taking the time to be grateful for all that we have been blessed with. 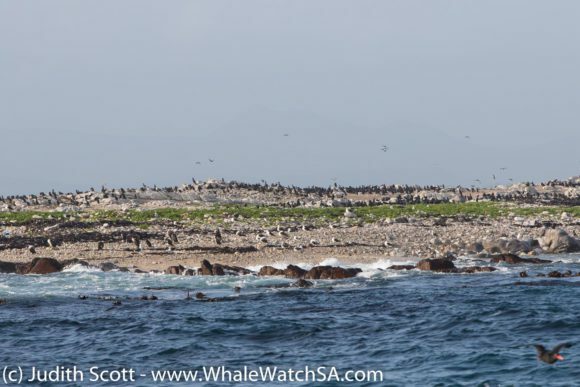 Something that is, however, often overlooked is our phenomenal natural heritage, with South Africa being the 3rd most bio-diverse nation in the world. 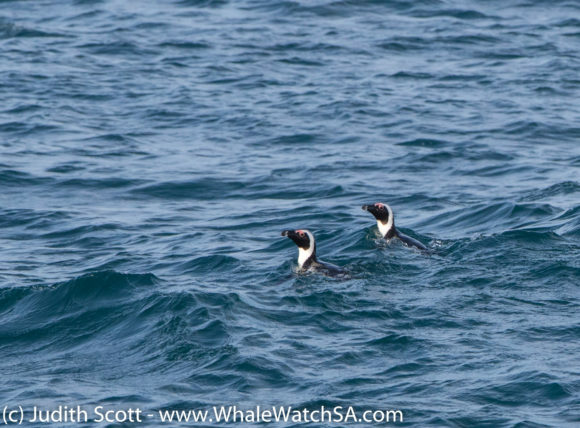 Our salty sea creatures are definitely amongst the least appreciated, with many South Africans favouring the traditional safari over the one that takes place on our seas. 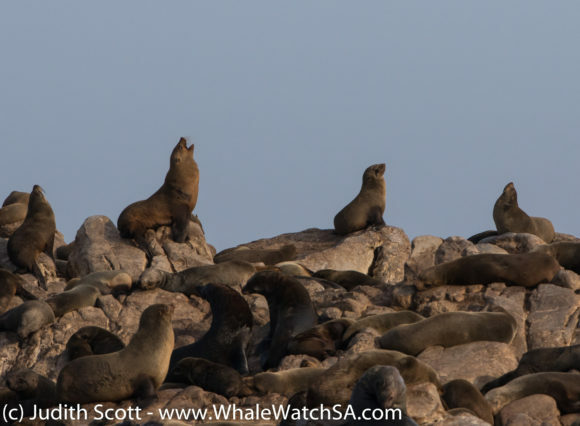 This was ,however, not the case today with many South Africans from all over the country hopping on the boat to celebrate this public holiday with the oceanic splendour that is the Marine Big 5. The first trip of the day got to see 2 different species of Shark, with 2 Bronze Whalers fooling around behind Slashfin and a Great White Shark joining us right at the end, exposing that iconic dorsal fin. 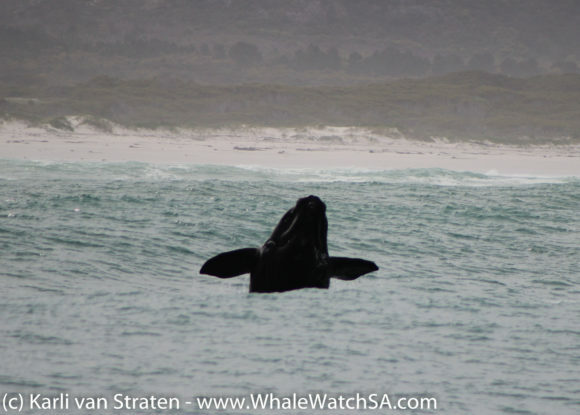 We moved on over the Pearly Beach next, where we found some stunning Southern Right Whales. 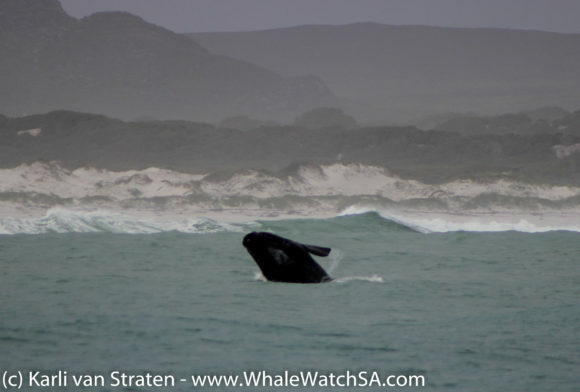 After watching some mating behaviour closer to the town, we caught sight of a Right Whale calf practicing some breaching. 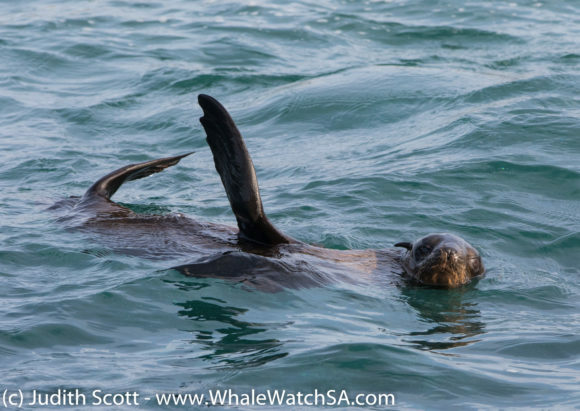 Much like human children, when marine mammals discover something new and exciting, they will keep at it for as long as their attention span allows. 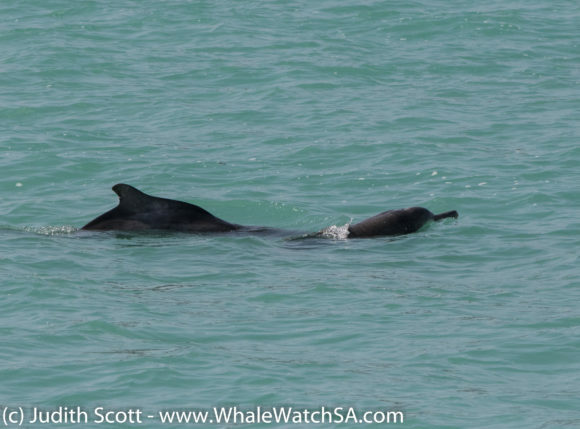 For us, this meant a great 10 minutes of watching this little dude breach his way around the bay, with mommy following at a safe distance. 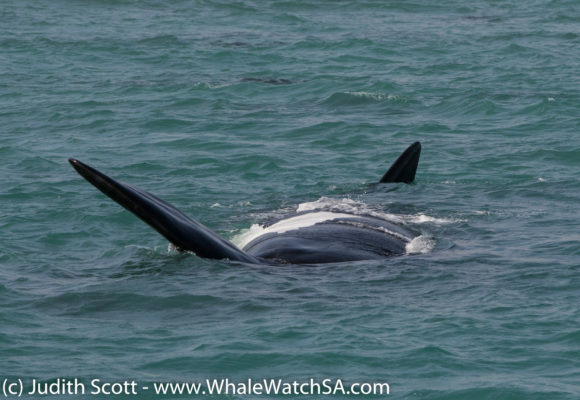 On our second trip, we followed the same route, heading out towards the shallows and them moving over into Pearly beach in the hopes that the whales would keep up the good show and boy, did they deliver. The absolute highlight of this trip was one of this gorgeous creatures approaching the boat until it was almost on top of us! 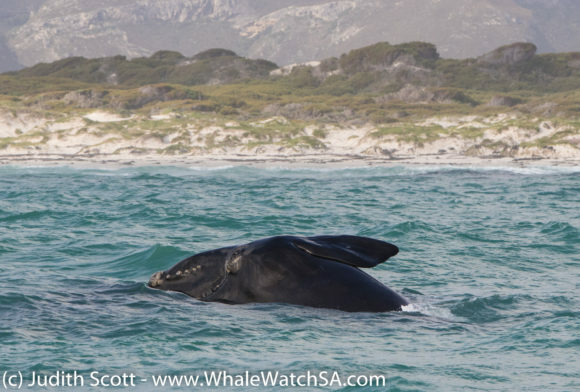 As if this was not epic enough, the whale decided to roll on its back, narrowly missing Dream Catcher with one of those gigantic flukes. 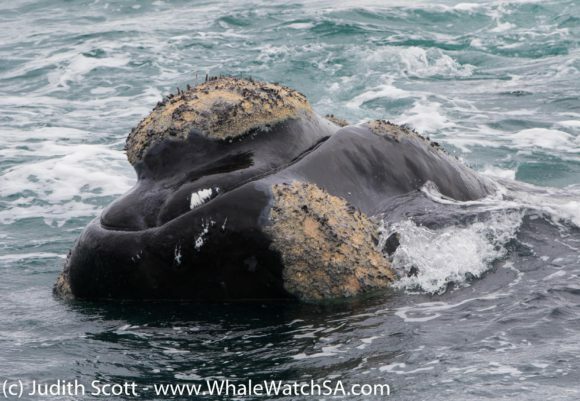 From tip to tip, that fluke can be up to 5m long, which really gives you an indication of just how massive these baleen whales are! 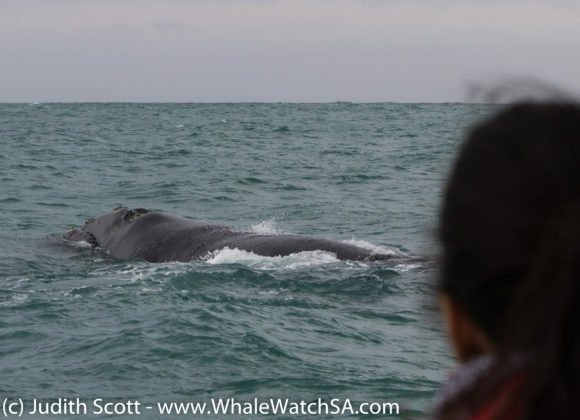 Just when we thought it could not get any better, we had another curious case circle the boat and then pop up right next to one of our younger clients. Too close for the cameras, this beauty came up and gave us a blow, creating memories that will last a lifetime, the kind that one keeps in their heart and mind and not in a Jpeg file on a computer. 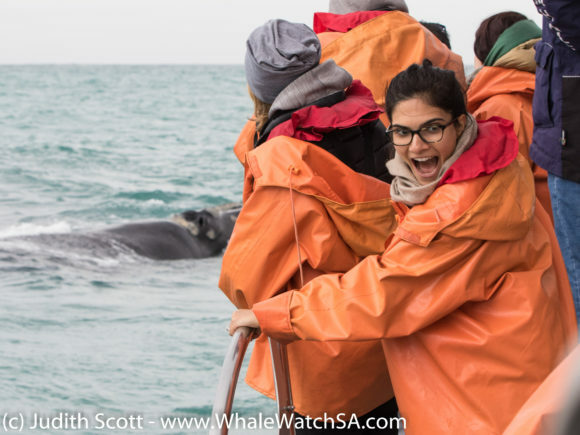 The fun did not stop there, with our very last trip of the day having whales galore. 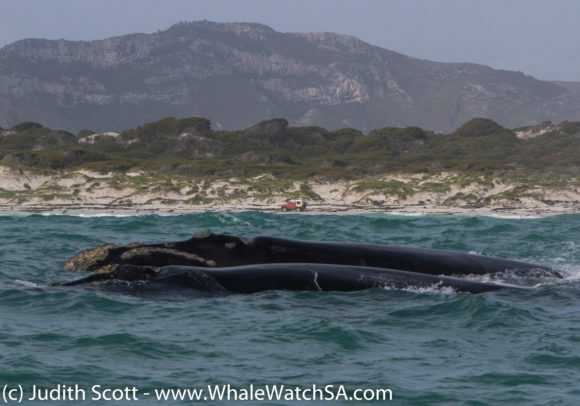 Pearly Beach was really alive with them, with many whales favouring the shallow waters close to the beach for their Sunday afternoon frolic. 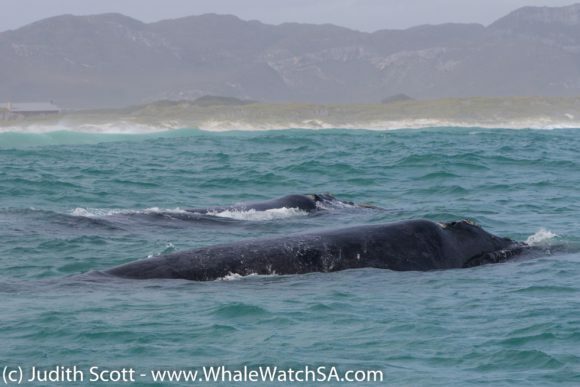 We had quite a few mating groups around which is always provides great viewing pleasure, but, we also had a really special mother and calf pair around. With most of the baby’s being born in August, at this time of year, one really starts to see some amazing behaviour kicking in. 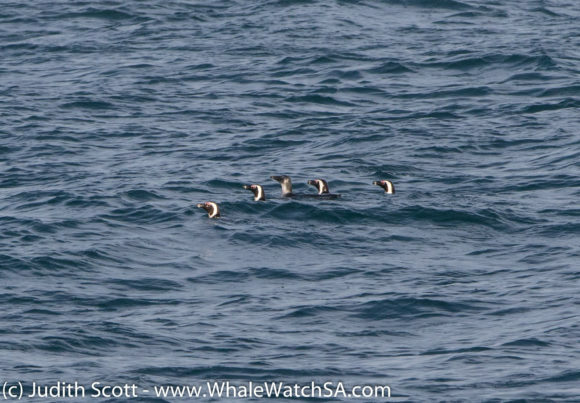 Right towards the end of this trip, we got to watch a little on rest on top of its mother for a bit, which was the first sighting of its kind for the season. 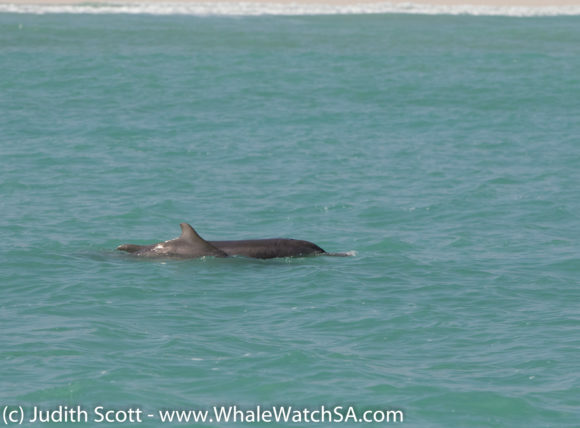 We also had a great sighting of some Indian Ocean Humpback dolphins on this trip. 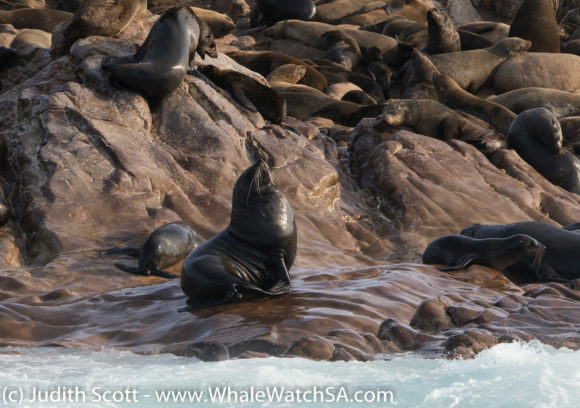 We really had a spectacular time on the deep blue today, spotting some African Penguins and taking all of our valued clients through the world famous waters of Shark Alley for some Cape Fur Seal viewing. We could not have asked for a better heritage day. An interesting question came up today about Cuttlefish, who seem to have gone against the norm with 3 hearts and green blood. The reason for the 3 hearts? Not to survive the turbulent dating life of a bony fish but rather, to have 1 heart per gill set and the last to power the rest of the body. The greenish tint to the blood is because, unlike humans, who have iron in their blood giving it a red-ish tinge, these guys have copper in their blood.